The combination of travel services offered to you is a package covered by the Package Travel and Linked Travel Arrangements Regulations 2018. Therefore, you will benefit from all EU rights applying to the package. English Holiday Cruises Limited will be fully responsible for the proper performance of the package as a whole. Additionally, as required by law, we have protection in place to refund your payments and, where transport is included in the package, to ensure your return in the event that they become insolvent. If the organiser becomes insolvent, payments will be refunded. If the organiser becomes insolvent after the start of the package and if transport is included in the package, repatriation of the travellers is secured. English Holiday Cruises Limited has taken out insolvency protection with Towergate Chapman Stevens of 3000, Hillswood Business Park, Chertsey, KT16 0RS, tel 01932-334140 and email tcs@towergate.co.uk. Travellers may contact this entity if services are denied because of English Holiday Cruises Limited’s insolvency. A booking is made with us when you pay us a deposit (or full payment if you are booking within 90 days of departure) and we issue you with a booking confirmation. We reserve the right to return your deposit and decline to issue a booking confirmation at our absolute discretion. A binding contract will come into existence between us as soon as we have issued your booking confirmation with details of your booking. Upon receipt, if you believe any details on the booking confirmation or any other document are wrong you must advise us immediately as changes cannot be made later and it may harm your rights if we are not notified of any inaccuracies in any document within ten days of our sending it out. The balance of the cost of your arrangements (including any applicable surcharge) is due not less than 90 days prior to scheduled departure. If we do not receive this balance in full and on time, we reserve the right to treat your booking as cancelled in which case the cancellation charges set out in clause 8 below will become payable. We endeavour to ensure that all the information and prices in our website and brochure are accurate, however occasionally changes and errors occur and we reserve the right to correct prices and other details in such circumstances. You must check the current price and all other details relating to the arrangements that you wish to book before you make your booking. Adequate travel insurance is a condition of your contract with us. If you choose to travel without adequate insurance cover, we will not be liable for any losses howsoever arising, in respect of which insurance cover would otherwise have been available. You must be satisfied that your insurance fully covers all your personal requirements including cancellation charges, pre-existing medical conditions, medical expenses and loss of personal possessions. Details of a suitable policy called Cancellation Plan are available from us or direct from the provider, PJ Hayman & Co, contactable via 02392-419843 or at www.cancellationplan.co.uk. There will be no change made to the price of your confirmed holiday, other than to correct any errors, once you have confirmed your booking. If you are forced to return home early, we cannot refund the cost of any travel arrangements you have not used. If you cut short your holiday and return home early in circumstances where you have no reasonable cause for complaint about the standard of accommodation and services provided, we will not offer you any refund for that part of your holiday not completed nor be liable for any associated costs you may incur. Depending on the circumstances, your travel insurance may offer cover for curtailment and we suggest that any claim is made directly with them. If you wish to change any part of your booking after our confirmation invoice has been issued, you must inform us in writing as soon as possible. This should be done by the first named person on the booking. Whilst we will do our best to assist, we cannot guarantee that we will be able to meet your requested change. Where we can meet a request, all changes will be subject to payment of an administration fee of £45 per person per change, as well as any costs and charges incurred by us and/or incurred or imposed by any of our suppliers in making this change. You should be aware that these costs could increase the closer to the departure date that changes are made and you should contact us as soon as possible. Where we are unable to assist you and you do not wish to proceed with the original booking we will treat this as a cancellation by you. A cancellation fee may be payable in accordance with clause 8. If you or any other member of your party decides to cancel your confirmed booking you must notify us in writing. Your notice of cancellation will only take effect when it is received in writing by us at our offices and will be effective from the date we receive it. If we are able to resell your cabin prior to sailing we will refund your monies, less an administration charge of £45/person and less any difference between the price you had paid for the booking and the price we were able to resell the cabin for (if lower). Please also refer to the ‘Important Note’ in Clause 7 above. If the reason for your cancellation is covered under the terms of your insurance policy, you may be able to reclaim these charges. Where possible, we will deduct the cancellation charge from any monies you have already paid. You have the right to cancel your confirmed holiday before departure without paying a cancellation charge in the event of “unavoidable and extraordinary circumstances” occurring at your holiday destination or its immediate vicinity and significantly affecting the performance of the holiday or significantly affecting the transport arrangements to the destination. In these circumstances, we shall provide you with a full refund of the monies you have paid but we will not be liable to pay you any additional compensation. For the purposes of this clause, “unavoidable and extraordinary circumstances” means warfare, acts of terrorism, significant risks to human health such as the outbreak of serious disease at the travel destination or natural disasters such as floods, earthquakes or weather conditions which make it impossible to travel safely to the travel destination. This clause 8 outlines the rights you have if you wish to cancel your booking. Please note that there is no automatic statutory right of cancellation under the Consumer Contracts (Information, Cancellation and Additional Charges) Regulations 2013. Changes: If we make an insignificant change to your holiday, we will make reasonable efforts to inform you as soon as reasonably possible if there is time before your departure but we will have no liability to you. Examples of insignificant changes include a change to your boarding time of less than 12 hours or a small alteration to your cruise itinerary. A change to your boarding time or overall length of arrangements of over 12 hours. A significant change to your itinerary, missing out certain portions of any cruise on the River Severn entirely. 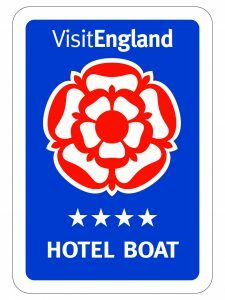 Please note the cruise programme and outside tours may need to be altered by us or the Captain of your vessel to suit the river conditions, weather, mechanical breakdown or unexpected closures of attractions. On such occasions we will notify you of any change as soon as we can after we become aware of it. In the event of a route change we will still provide the normal programme of accommodation, meals and entertainment and an alternative programme of guided tour and such change will be an insignificant change for the purposes of these booking conditions. We will always seek to provide the cruise which we advertised but due to the nature of cruises this cannot be guaranteed if the river conditions, weather or mechanical difficulties make it unsafe or if local attractions are temporarily unavailable for tours. Any decision to alter the cruise programme will be at the discretion of us or the Captain of your vessel. Where a decision is made based on Force Majeure circumstances (see clause 10 below) which amount to a significant change, we shall not be liable to pay you any compensation. Cancellation: We will not cancel your travel arrangements less than 90 days before your departure date, except for reasons of force majeure or failure by you to pay the final balance. We may cancel your holiday before this date if, e.g., the minimum number of clients required for a particular cruise is not reached. Except where otherwise expressly stated in these Booking Conditions we will not be liable or pay you compensation if our contractual obligations to you are affected by “Force Majeure”. For the purposes of these Booking Conditions, Force Majeure means any event beyond our or our supplier’s control, the consequences of which could not have been avoided even if all reasonable measures had been taken. Examples include warfare and acts of terrorism (and threat thereof), civil strife, significant risks to human health such as the outbreak of serious disease at the travel destination, the outbreak of other infectious diseases (whether affecting humans or otherwise), which restrict free movement at the travel destination such as foot and mouth disease, or natural disasters such as floods, earthquakes or weather conditions which make it impossible to travel safely to the travel destination or remain at the travel destination, the act of any government or other national or local authority including port or river authorities, industrial dispute, labour strikes, lock closure or the failure of other vital equipment managed by the waterway authorities, natural or nuclear disaster, high or low water levels in rivers, fire, chemical or biological disaster, unavoidable technical problems with transport and all similar events outside our or the concerned suppliers’ control. Brexit Implications: please note that certain travel arrangements may be affected as a result of the United Kingdom’s decision to leave the European Union. Please rest assured that this is something we will continue to monitor and will advise our customers as soon as possible if we become aware of any confirmed bookings that will be affected. However, since this is something which is completely unprecedented and outside our control, we would treat any such changes as Force Majeure, and whilst we will endeavour to provide suitable alternative arrangements or refunds where possible, we will not be liable to pay you any compensation. Any special requests must be advised to us at the time of booking e.g. diet, room location or other reasonable requirement. You should then confirm your requests in writing. Whilst every effort will be made to try and arrange reasonable special requests, we cannot guarantee that they will be fulfilled. The fact that a special request has been noted on your confirmation invoice or any other documentation or that it has been passed on to the supplier is not confirmation that the request will be met. Failure to meet any special request will not be a breach of contract on our part unless the request has been specifically confirmed by us. We do not accept bookings that are conditional upon any special request being met. Please note that unfortunately we cannot accept bookings in respect of any children who will be less than 12 years old on the date of departure of the cruise, nor can we accept pets on board any of our cruises. We are not a specialist disabled holiday company, but we will do our utmost to cater for any special requirements you may have. If you or any member of your party has any medical problem or disability which may affect your booking, please call to provide us with full details before you make your booking so that we can try to advise you as to the suitability of your chosen arrangements. Examples might include limited mobility, hearing or sight or special sanitary arrangements. We may require you to produce a doctor’s certificate certifying that you are fit to participate. Acting reasonably, if we are unable to properly accommodate the needs of the person(s) concerned, we will not confirm your booking or if you did not give us full details at the time of booking, we will cancel it and impose applicable cancellation charges when we become aware of these details. If the problem cannot be resolved and you wish to complain further, you must send formal written notice of your complaint to us at our office within 28 days of the end of your stay, giving your booking reference and all other relevant information. Please keep your letter concise and to the point. This will assist us to quickly identify your concerns and speed up our response to you. Failure to follow the procedure set out in this clause may affect our and our supplier’s ability to investigate your complaint and will affect your rights under this contract. Please note that we offer an Alternative Dispute Resolution service through our ABTA membership. Please see clause 22 for further details. All our customers are expected to conduct themselves in an orderly and acceptable manner and not to disrupt the enjoyment of others. If in our opinion or in the opinion of the Captain of your vessel’, your behaviour or that of any member of your party is causing or is likely to cause distress, danger or annoyance to any other customers or any third party, or damage to property, or to cause a delay or diversion to transportation, we reserve the right to terminate your booking with us immediately. In the event of such termination our liability to you and/or your party will cease and you and/or your party will be required to leave the cruise vessel, your hotel or other arrangement immediately. We will have no further obligations to you and/or your party. No refunds for lost accommodation or any other arrangements will be made and we will not pay any expenses or costs incurred as a result of termination. You and/or your party may also be required to pay for loss and/or damage caused by your actions and we will hold you and each member of your party jointly and individually liable for any damage or losses caused by you or any member of your party. Full payment for any such damage or losses must be paid directly to ourselves, the hotel manager or other supplier prior to departure. If you fail to make payment, you will be responsible for meeting any claims (including legal costs) subsequently made against us as a result of your actions together with all costs we incur in pursuing any claim against you. we will have to pay you in respect of these claims is up to three times the price paid by or on behalf of the person(s) affected in total. This maximum amount will only be payable where everything has gone wrong and you or your party has not received any benefit at all from your booking. (c) Claims in respect of a stay in a hotel: The extent of our liability will in all cases be limited as if we were carriers under the appropriate Conventions, which include The Paris Convention (with respect to hotel arrangements). You can ask for a copy of this Convention by contacting us. It is a condition of our acceptance of liability under this clause that you notify any claim to us and our supplier(s) strictly in accordance with the complaints procedure set out herein. Where it is impossible for you to return to your departure point as per the agreed return date of your package, due to “unavoidable and extraordinary circumstances”, we shall provide you with any necessary accommodation (where possible, of a comparable standard) for a period not exceeding three nights per person. Please note that the 3-night cap does not apply to persons with reduced mobility, pregnant women or unaccompanied minors, nor to persons needing specific medical assistance, provided we have been notified of these particular needs at least 48 hours before the start of your holiday. For the purposes of this clause, “unavoidable and extraordinary circumstances” mean warfare, acts of terrorism, significant risks to human health such as the outbreak of serious disease at the travel destination or natural disasters such as floods, earthquakes or weather conditions which make it impossible to travel safely back to your departure point. English Holiday Cruises Ltd is a company committed to customer satisfaction and consumer financial protection. We are therefore pleased to announce that, at no extra cost to you, and in accordance with ''The Package Travel and Linked Travel Arrangements Regulations 2018'' all passengers booking with English Holiday Cruises Ltd are fully insured for the initial deposit, and subsequently the balance of monies paid as detailed in your booking confirmation form. The policy will also include repatriation if required, arising from the cancellation or curtailment of your travel arrangements due to the insolvency of English Holiday Cruises Ltd. This insurance has been arranged by Towergate Chapman Stevens through Zurich Insurance PLC. Claims: In the unlikely event of Insolvency, you must Inform Towergate Chapman Stevens immediately on +44 (0) 1932 334140 or by email at tcs@towergate.co.uk Please ensure you retain the booking confirmation as evidence of cover and value. All of our cruises take place within the United Kingdom. It is your responsibility to check and fulfill the passport, visa, health and immigration requirements applicable to your itinerary where you are joining us from outside the UK. We can only provide general information about this. Non British passport holders, including other EU nationals, should obtain up to date advice on passport and visa requirements on travelling to the UK. We do not accept any responsibility if you cannot travel or incur any other loss because you have not complied with any passport, visa, immigration requirements or health formalities. You agree to reimburse us in relation to any fines or other losses which we incur as a result of your failure to comply with any passport, visa, immigration requirements or health formalities. Some of the services which make up your holiday are provided by independent suppliers. Those suppliers provide these services in accordance with their own terms and conditions which will form part of your contract with us. Some of these terms and conditions may limit or exclude the supplier's liability to you, usually in accordance with applicable International Conventions. Copies of the relevant parts of these terms and conditions are available on request from us or the supplier concerned. If, whilst you are on holiday, you find yourself in difficulty for any reason, we will offer you such prompt assistance as is appropriate in the circumstances. In particular, we will provide you with appropriate information on health services, local authorities and consular assistance, and assistance with distance communications and finding alternative travel arrangements. Where you require assistance which is not due to any failure by us, our employees or sub-contractors, we will not be liable for the costs of any alternative arrangements or other assistance you require. Any supplier may however pay for or provide refreshments and/or appropriate accommodation and you should make a claim directly to them. Subject to the other terms of these Booking Conditions, we will not be liable for any costs, fees or charges you incur in the above circumstances if you fail to obtain our prior authorisation before making your own travel arrangements. Furthermore, we reserve the right to charge you a fee for our assistance in the event that the difficulty is caused intentionally by you or a member of your party, or otherwise through your or your party’s negligence. We cannot accept liability for any delay which is due to any of the reasons set out in clause 10 of these Booking Conditions. Important Note: In no circumstances will we be liable to you for any additional services which you book via a third party in connection with the travel arrangements. For the avoidance of doubt, if we have to cancel the travel arrangements for any reason we shall not be liable to compensate you for any such additional services which you have booked in connection with the cancelled travel arrangements. This clause shall include but not be limited to any transport arrangements to join the cruise. We are a Member of ABTA, (number Y6581). We are obliged to maintain a high standard of service to you by ABTA’s Code of Conduct. We can also offer you ABTA’s scheme for the resolution of disputes which is approved by the Chartered Trading Standards Institute. If we can’t resolve your complaint, go to www.abta.com to use ABTA’s simple procedure. Further information on the Code and ABTA’s assistance in resolving disputes can be found at www.abta.com.